Standing alone doesn’t mean I m alone.. 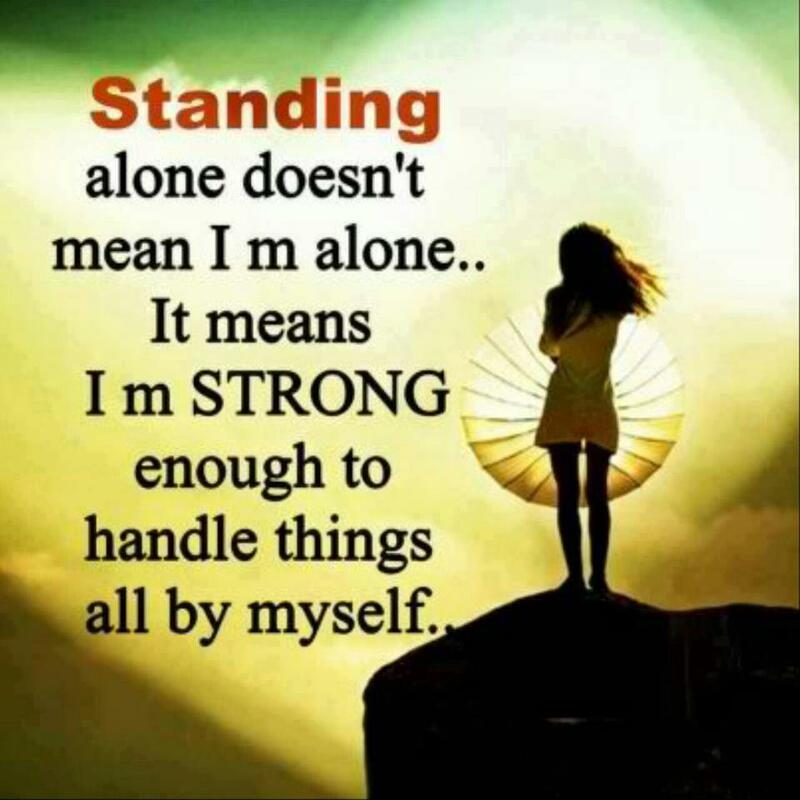 It means I m STRONG enough to handle things all be myself..
Quote : Standing alone doesn’t mean I m alone.. It means I m STRONG enough to handle things all be myself.. This entry was posted in Quote on August 2, 2014 by narongt1979.